Nasaline is a nasal irrigation device used to treat nasal symptoms associated with colds, the flu, allergies, or sinus related infections. Nasaline cleans and soothes the nasal passages, reduces nasal irritation and moistens the mucous membranes. Simply using the saline solution, Nasaline offers a drug free alternative for people looking for relief from everyday sinus and nasal ailments. 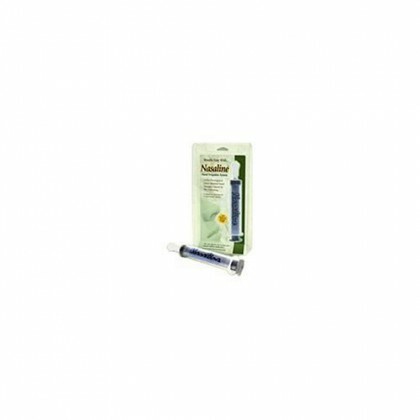 Nasaline consists of a 2 oz syringe and a patented silicone tip. The silicone tip was designed to fit most adult noses in such a way as to completely seal the nostril opening. The channel inside the tip is formed in the shape of an hourglass, producing a gentle swirl stream when the saline solution enters the nose. The silicone tip does not contain latex and is safe for direct contact with the skin.